Touchstone For MacOS is a native MacOS application that runs on OS X 10.11 (El Capitan) or higher. 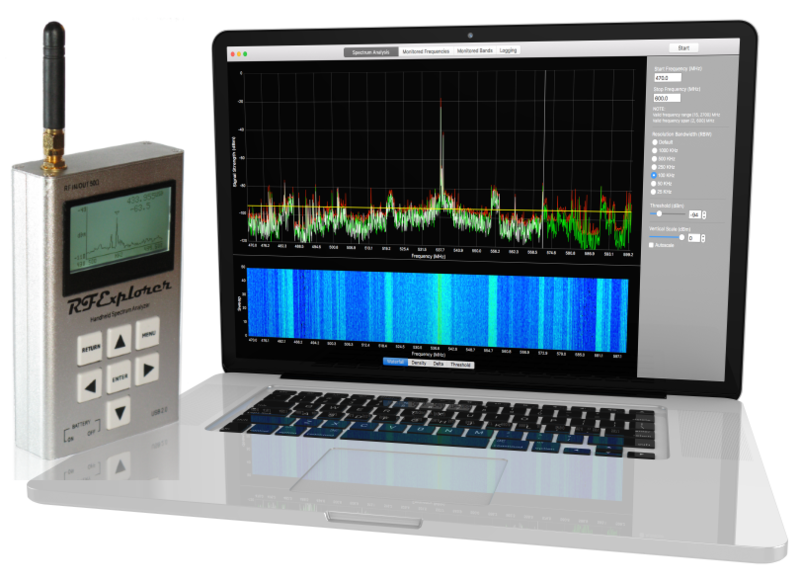 Like the Windows version, Touchstone For MacOS turns data collected from RF Explorer spectrum analyzers into highly graphical charts and displays, enabling users to more readily visualize the RF environment, monitor RF signals, troubleshoot RF issues, and detect sources of RF interference. For evaluation purposes feel free to download the software applications. 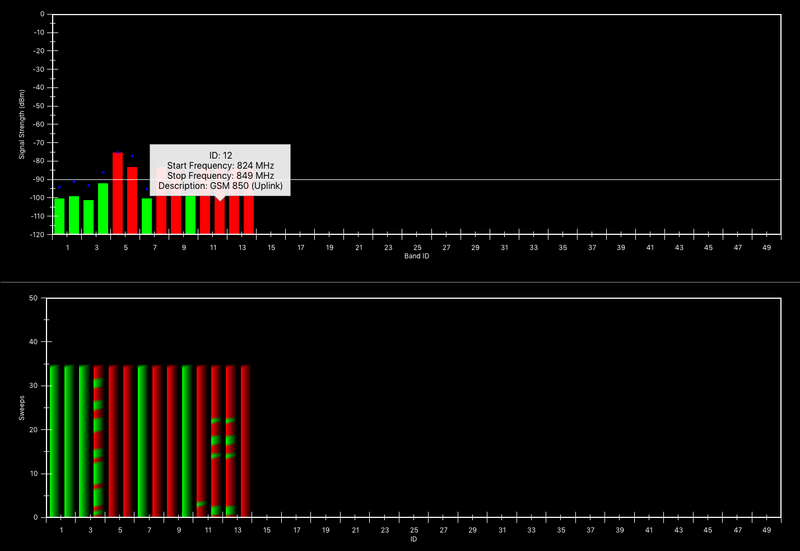 Without the RF Explorer device the software runs in a fully functional 'Demo mode' using simulated data. Documentation for Touchstone can be found here. Touchstone continuously scans and samples the signal strength (dBm) of frequencies in the range the user has specified. 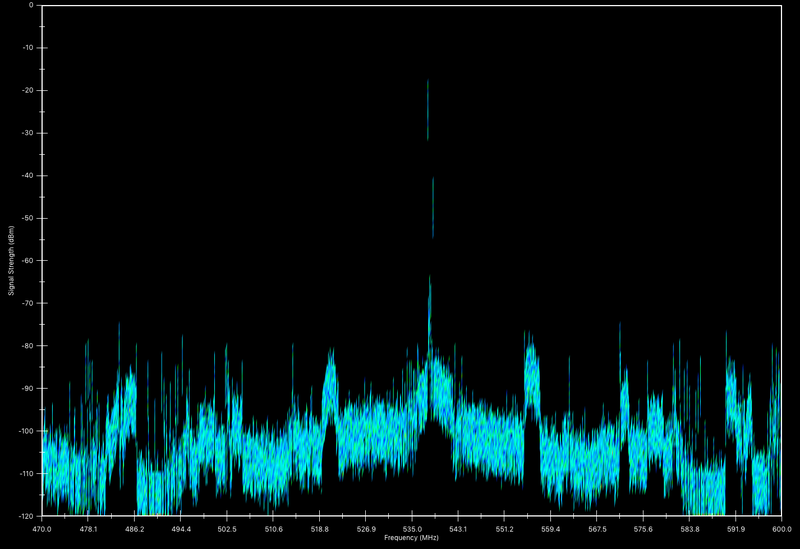 In the 'Spectrum Trace' view the signal strength data (in dBm) is displayed as a function of frequency. 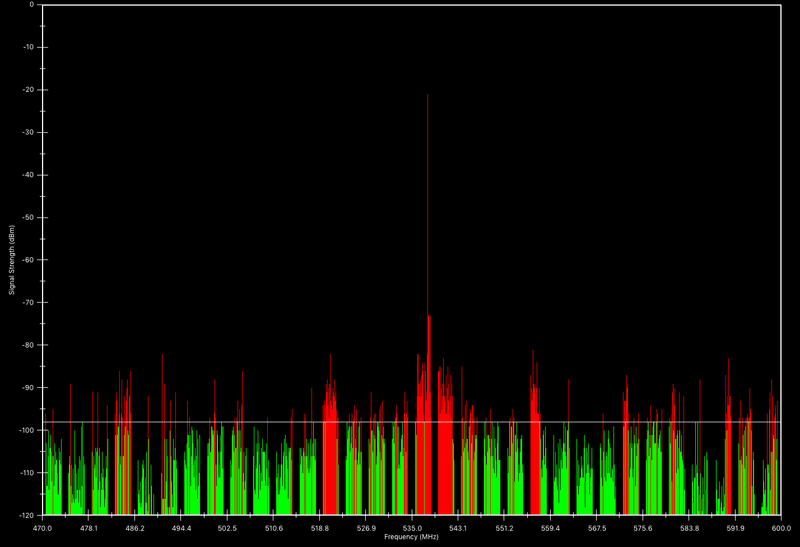 The 'Density Map' chart shows accumulated RF energy as a function of frequency. 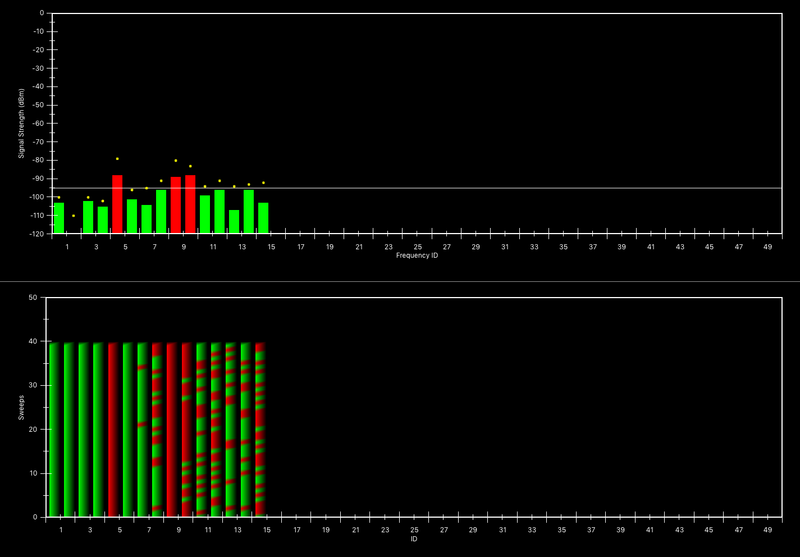 The power of the signal strength in dBm is shown across the frequency span. A signal strength with a relatively low occurrence is 'blueish' in color, whereas increasingly brighter colors are used for signal strengths that occur more frequently. Signal strengths that occur most often are 'redish' in color. 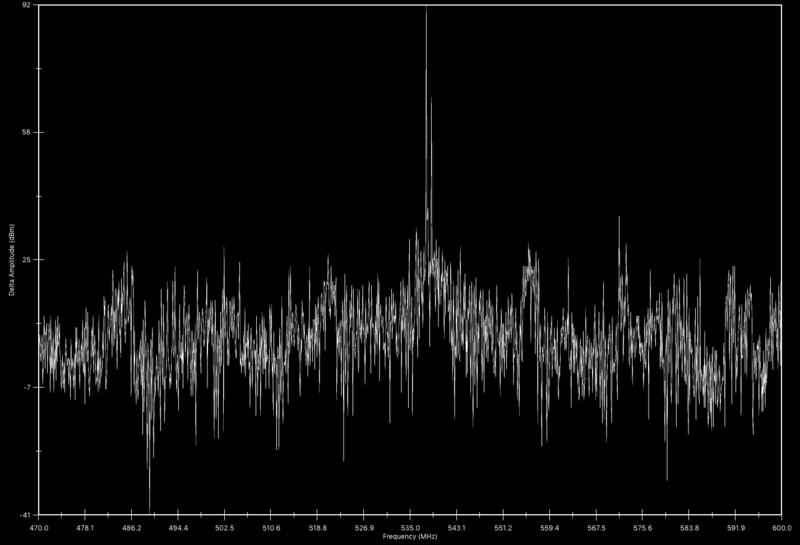 Over time, this spectral view will approximate the steady-state RF energy signature of a given environment. 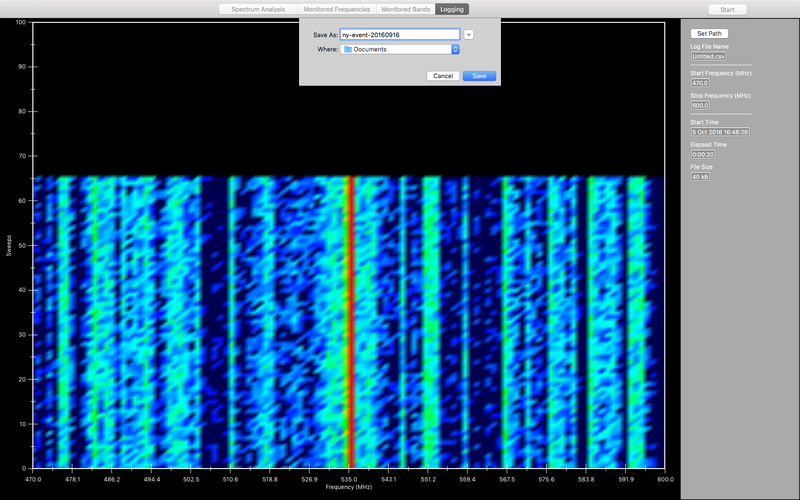 The 'Threshold Trace' view highlights with a yellow box those frequencies whose signal strength exceeds a user-defined threshold. This feature is especially useful for visually emphasizing strong signals (and deemphasizing weak ones), where the user gets to define 'strong' and 'weak' according to where they set the threshold..
'Monitored Bands' mode allows you to monitor specific frequency bands. For example, in a cell-phone free area, the this feature can be used to monitor the frequency bands used by cell phones for the purpose of detecting prohibited transmissions. 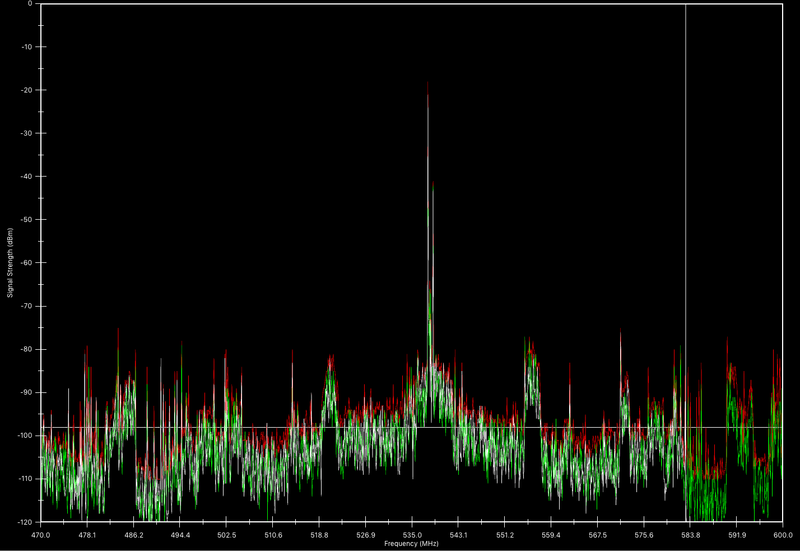 'Data Logging' mode allows recording of spectrum trace data (in CSV format) for extended periods. 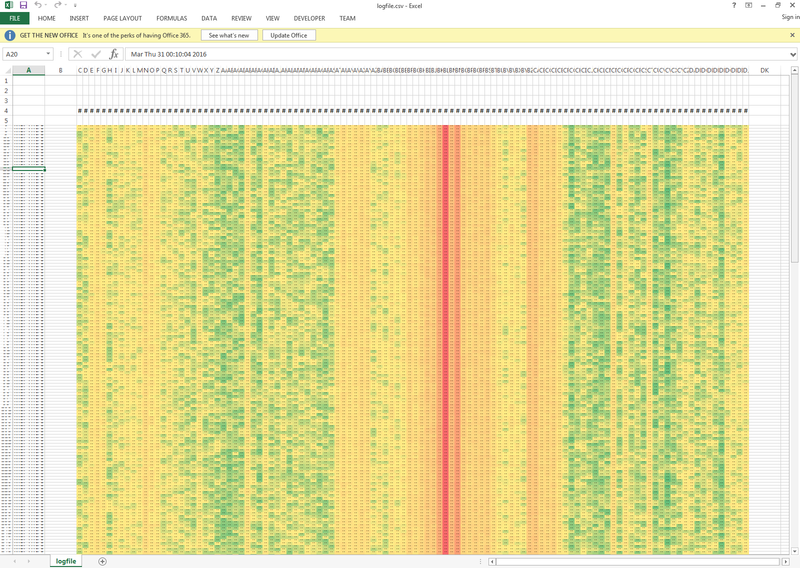 As the logging progresses it is displayed in the form of a waterfall / heatmap that gradually scrolls upward with each scan. Included in the installation folder is an example of a VBA macro for viewing the CSV data as a heatmap in Microsoft Excel. NOTE: The heatmap created above by Touchstone-Pro and the one below created by Excel use the same data but different color scales. 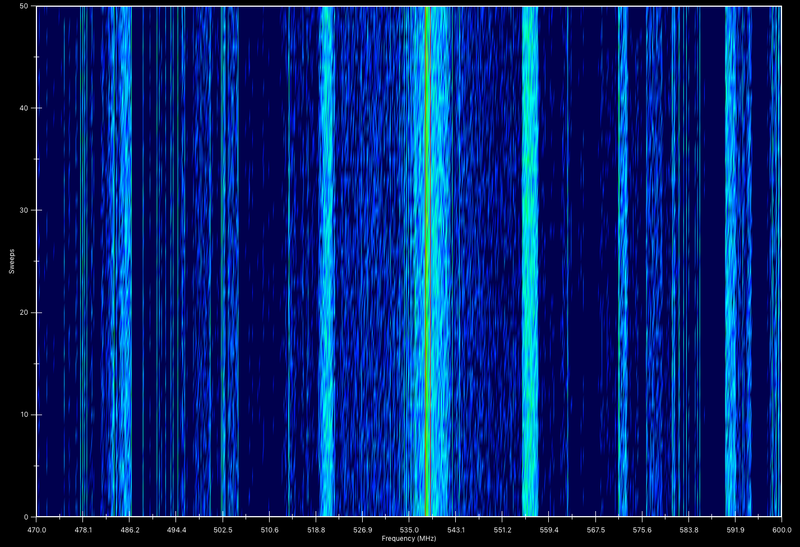 RF Explorer spectrum analyzer is a very unique device. Together with Touchstone software you now have an RF diagnostic tool unmatched in price and performance. Armed with the ability to monitor RF signals, detect RF interference and view all RF activity that occurs in your environment, solving wireless problems just got a whole lot easier.